Just as the SNP’s aim is to break up the UK, Fiona Hyslop’s proposals aim to do the same for the BBC (Your report, 17 February). She wants to keep much more of the licence fee in Scotland, reducing the money available for programmes made elsewhere like Strictly and Doctor Who (made in Cardiff) by £100 million, in spite of nearly 90 per cent of BBC viewing in Scotland being of these network programmes. She also proposes a new federal governing board, which will significantly reduce the formal input from viewers and listeners because it does away with the audience councils which do that just now. John Reith (born in Stonehaven) battled with Winston Churchill over the BBC’s independence. Reith won then, but the war goes on. There is a strong impression that Holyrood is taking the Churchill line. But to paraphrase him: “The BBC is the worst form of broadcasting except all those other forms that have been tried from time too time”. Leave well alone. The Scottish Government’s latest policy paper has renewed attempts to bring the BBC in Scotland under Scottish Parliament control. Some believe the BBC’s editorial independence will be under threat from the SNP, though on balance this seems unlikely. Nicola Sturgeon’s strategy is altogether more subtle; she’s willing to play a longer game. Her intention, in making BBC output here significantly more Scottish, is, incrementally, to separate us culturally and politically from the rest of the UK. There will be reduced coverage of pan-UK news and events with a correspondingly increased – some would say parochial – focus on Scotland. 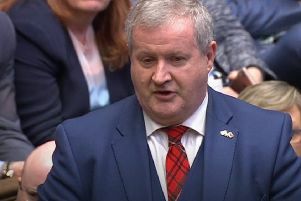 The SNP’s proposals for new Scottish TV and radio channels and a Scottish six o’clock news programme would be detrimental to Westminster coverage and give increased prominence to Holyrood, currently, and for the foreseeable future, dominated by the SNP and its anti-UK narrative. Then, should the Nationalists ever stage another referendum, their hope is that, for some of us, England, Wales and Northern Ireland will seem remote and unfamiliar. For the SNP, Scottish ignorance of the UK is bliss. Gemma Hopkinson’s realistic and thoughtful review on prevention, as far as possible, of further disastrous flooding (Friends of The Scotsman, 17 February), rightly mentions the delays in implementing adequate drainage of the Somerset Levels. That vital precaution, carried out for very many years under planning by responsible local expertise, had been ruled out by edict from the European Union, intended to help wildlife. Without knowing the reactions of local water boards to this diktat from Brussels or those of our UK government to such an illogical ruling, one suspects that a drastic change in water management and flood prevention in a high-risk area should have been seen for the dangerous nonsense it represents. Once restored, drainage alleviated the local flood disasters, which must have harmed wildlife far more than it had ever benefited from the EU’s edict. Local experience in flood prevention must be allowed to over-ride ideas imposed from outside – and that, if this is representative of EU edicts, we must vote to leave. In reference to your piece on the increasing popularity of the private rented sector (Friends of The Scotsman, 17 February), I would like to point out that there are a huge variety of reasons why individuals and families choose to rent a property, such as wanting to be mobile, reflecting the changing nature of the Scottish job market, those in higher and further education, or some who simply do not want the extra responsibility that comes from owning a home. The overwhelming majority of letting agents and landlords provide a very high quality of service and excellent value for money in an industry with extensive safety requirements – well beyond what most ­owner-occupiers do in their own homes. With a growing housing crisis in Scotland, it is critical that we attract the investment needed to increase the supply of all types of housing. However, landlords are concerned that recent tax changes at Westminster and Holyrood, along with changes to the tenancy regime being debated by the Scottish Parliament, are putting such investment at risk, particularly by punishing smaller players. We were very encouraged by your reporting (17 February) of the Scottish Grocers’ Federation retail crime seminar. Your editorial also rightly highlighted the case of the violent attack on Mr Jawad Ali in his Glasgow store. We believe strongly that a key part of the “wider strategy” on prevention you mention must be legislation to give shop workers the same legal protection as emergency workers. The case of Mr Ali shows that shop workers are often in the front line in dealing with violence. They and their customers deserve to go about their business safely. The Columba Declaration, a historic agreement between the Church of England and the Church of Scotland on future partnership working, throws up some major concerns for the Scottish Episcopal Church (Your report, 16 February). The discussions which led to the agreement were carried out as both churches have national church status in the UK. The Church of Scotland was afforded “national church” status in 1690; but unlike the Church of England, which is the national church south of the Border, it is not established and is independent of the state. While I fully understand the desire of the Church of Scotland and the Church of England to discuss and explore matters of common concern, there is a commitment in the Declaration that each will “welcome one another’s members to each other’s worship as guests and receive one another’s members into the congregational life of each other’s churches where that is their desire”. This clearly suggests that the Church of England will respond warmly to the idea that its members will worship in Church of Scotland churches when they visit Scotland – yet the Church of England’s Anglican Communion partner in Scotland is the Scottish Episcopal Church. In addition, there is the provision that Church of England clergy will minister in Scotland under the authorisation of the Church of Scotland, again without reference to the Scottish Episcopal Church. The Church of Scotland and the Church of England seem to have decided that their commonality as national churches justifies setting aside other ecumenical relationships and etiquette. This situation is deeply worrying. The Declaration has been passed by the General Synod of the Church of England, and will head to the Church of Scotland’s General Assembly in May. The Church of England must reconsider this arrangement and respect the rightful place of the Scottish Episcopal Church within the Anglican Communion, putting in place mechanisms that will recognise the relationship between both churches. There must be an explanation as to why Scotland has had to do without a chief scientific adviser for nearly a year and a half, but so far it is not clear what it is (Your report,16 February). This should be a prestigious role and yet somehow the Scottish Government failed to attract credible candidates in a round of recruiting last year, so are starting again in April. Presumably, direct approaches to potential candidates have also failed to entice the right person. Perhaps there is a lesson for the SNP here: If you go about creating policies such as banning GM crops and placing a moratorium on fracking without showing due care for scientific arguments, those who might best advise you might be inclined to go elsewhere.